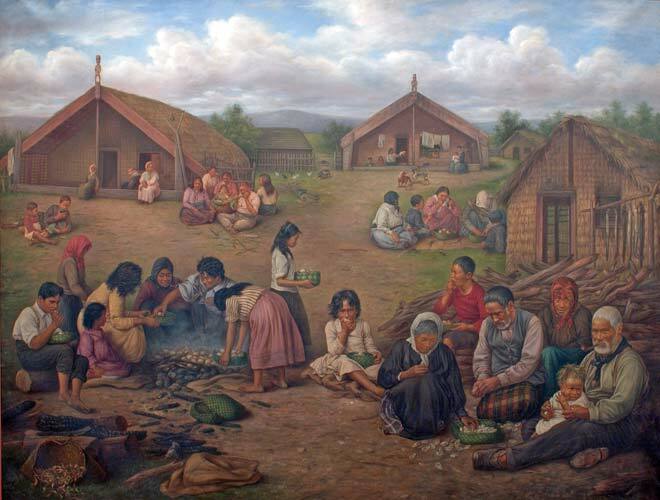 This idealised but charming painting by Gottfried Lindauer, 'The time of kai [food]' (1907), shows a traditional Māori community eating a meal together. Shellfish, corn and potatoes are being eaten by hand from woven flax baskets. Women and children are clustered around a hāngī (earth oven) in the foreground.